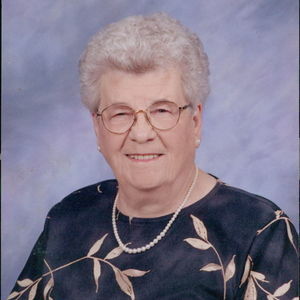 Audrey Walters Dunham, 99, of Tar Heel went home to be with the Lord on Saturday, April 6, 2019. She was preceded in death by her husband Grover Walters and husband Bob Dunham, son Gerald Walters, one sister Evelyn McCormick and seven brothers: Vernon, Curtis, Comer, Red, Shelton, Virgil, and Maurice Brisson. Audrey is survived by three sons: Dennis Wayne Walters (Amanda) of St. Pauls; Alvin Willard Walters (Margit) of Tar Heel and Dale Walters also of Tar Heel; one daughter-in-law: Joyce Walters of Bladenboro; five grandchildren: Timmy Walters (Penny), Travis Walters (Marlena), Andy Walters, Mark Walters and Romi Davis (Johnny), seven great grandchildren: Hunter, Abbey, Marlie, Chloe, Allie, Rhett, Will, Justine and Jeremy and one great-great granddaughter: Myla. Audrey was a generous, loving lady who would give you the shirt off her back. She was devoted to her family and her church. Her positive upbeat voice of reasoning will be missed by the family that greatly loved her. The family will receive friends from 6-8 pm on Tuesday, April 9th at Bethel Baptist Church in Dublin. A funeral service is planned for Wednesday, April 10th at 11:00 am at Bethel Baptist Church in Dublin officiated by Rev. Warren Hill and Rev. Jerry Beck. Burial will follow the services in Singletary United Methodist Church Cemetery in Dublin. Add your thoughts, prayers or a condolence to Audrey's guestbook.